Now the company of prophets said to Elisha, "As you see, the place where we live under your charge is too small for us. Let us go to the Jordan, and let us collect logs there, one for each of us, and build a place there for us to live." He answered, "Do so." Then one of them said, "Please come with your servants." And he answered, "I will." So he went with them. When they came to the Jordan, they cut down trees. But as one was felling a log, his ax head fell into the water; he cried out, "Alas, master! It was borrowed." Then the man of God said, "Where did it fall?" When he showed him the place, he cut off a stick, and threw it in there, and made the iron float. He said, "Pick it up." So he reached out his hand and took it. Once when the king of Aram was at war with Israel, he took counsel with his officers. He said, "At such and such a place shall be my camp." But the man of God sent word to the king of Israel, "Take care not to pass this place, because the Arameans are going down there." The king of Israel sent word to the place of which the man of God spoke. More than once or twice he warned such a place so that it was on the alert. The mind of the king of Aram was greatly perturbed because of this; he called his officers and said to them, "Now tell me who among us sides with the king of Israel?" Then one of his officers said, "No one, my lord king. It is Elisha, the prophet in Israel, who tells the king of Israel the words that you speak in your bedchamber." He said, "Go and find where he is; I will send and seize him." He was told, "He is in Dothan." So he sent horses and chariots there and a great army; they came by night, and surrounded the city. When an attendant of the man of God rose early in the morning and went out, an army with horses and chariots was all around the city. His servant said, "Alas, master! What shall we do?" He replied, "Do not be afraid, for there are more with us than there are with them." Then Elisha prayed: "O LORD, please open his eyes that he may see." So the LORD opened the eyes of the servant, and he saw; the mountain was full of horses and chariots of fire all around Elisha. When the Arameans came down against him, Elisha prayed to the LORD, and said, "Strike this people, please, with blindness." So he struck them with blindness as Elisha had asked. Elisha said to them, "This is not the way, and this is not the city; follow me, and I will bring you to the man whom you seek." And he led them to Samaria. As soon as they entered Samaria, Elisha said, "O LORD, open the eyes of these men so that they may see." The LORD opened their eyes, and they saw that they were inside Samaria. When the king of Israel saw them he said to Elisha, "Father, shall I kill them? Shall I kill them?" He answered, "No! Did you capture with your sword and your bow those whom you want to kill? Set food and water before them so that they may eat and drink; and let them go to their master." So he prepared for them a great feast; after they ate and drank, he sent them on their way, and they went to their master. And the Arameans no longer came raiding into the land of Israel. I wrote to you in my letter not to associate with sexually immoral persons-- not at all meaning the immoral of this world, or the greedy and robbers, or idolaters, since you would then need to go out of the world. But now I am writing to you not to associate with anyone who bears the name of brother or sister who is sexually immoral or greedy, or is an idolater, reviler, drunkard, or robber. Do not even eat with such a one. For what have I to do with judging those outside? Is it not those who are inside that you are to judge? God will judge those outside. "Drive out the wicked person from among you." When any of you has a grievance against another, do you dare to take it to court before the unrighteous, instead of taking it before the saints? Do you not know that the saints will judge the world? And if the world is to be judged by you, are you incompetent to try trivial cases? Do you not know that we are to judge angels-- to say nothing of ordinary matters? If you have ordinary cases, then, do you appoint as judges those who have no standing in the church? I say this to your shame. Can it be that there is no one among you wise enough to decide between one believer and another, but a believer goes to court against a believer-- and before unbelievers at that? In fact, to have lawsuits at all with one another is already a defeat for you. Why not rather be wronged? Why not rather be defrauded? But you yourselves wrong and defraud-- and believers at that. God and Father of all, in your love you made all the nations of the world to be a family, and your Son taught us to love one another. Yet our world is riven apart with prejudice, arrogance, and pride. Help the different races to love and understand one another better. Increase among us sympathy, tolerance, and goodwill, that we may learn to appreciate the gifts that those of other races bring to us, and to see in all people our brothers and sisters for whom Christ died. Save us from jealousy, hatred, and fear, and help us to live together as members of one family at home in the world, sons and daughters of one Father who live in the liberty of the children of God; through Jesus Christ our Lord. Amen. Feeling overwhelmed? Most people don't really need any terrible problem to get down in the dumps sometimes. Disappointment and frustration simply come with the package. We expect deep in our hearts that we will constantly make progress, but reality sets in and sometimes it seems like all we can do is put one foot in front of the other one. Life is a gift, but we all spend our lives looking this gift horse straight in the mouth; because no matter how bad things get, if you can feel overwhelmed, you have to be alive. Everybody has hard times sooner or later. We lose our jobs, our spouse runs off with someone else, we develop a chronic disease, we go bankrupt. But Christ promised us that, not only would we get through any tribulation that life can throw at us, we can get through the ultimate tribulation. If He overcame death, what can He not overcome? If you feel like you can't pick yourself up, don't try. Christ will do the picking up; all you have to do is ask. Just remember what Max Lucado says in the picture: With God’s help, you will get through this. Lord, let me always remember to rely on you, with complete confidence. Amen. For context, Luke 12:1 tells us that Jesus was addressing “a crowd of many thousands” when He spoke of the value God sees in each person. Many thousands. The rich. The poor. The average. The misfits. The bland. The spicy. The employed. The unemployed. The talented. The crippled. The lonely. The well. The sick. The married. The widowed. The single. The stressed-out. The curious. The masses! This wasn’t just a pat on the back to encourage His besties! He was talking to the gamut of humanity. This is important because it makes the words He spoke that much more amazing. You are not forgotten by God. God sees everything about you—even your screw-ups, failings, fears and doubts—and He finds value. I don’t love my children any more or less because of the way they dress or because of how well they can sing, throw a football, play chess, or pray publicly. God doesn’t love you and me any more or less because of what we can or cannot do, or because of how good or bad we are either. He loves us because we are His. Made in His image. Fashioned by His heart. Believe it. Even if your life wasn’t planned in the heart of your parents, it was planned in the heart of God. You are His, and He remembers you. By name. You, me, and the stars. He knows us all by name: “He determines the number of the stars; he gives to all of them their names” (Ps. 147:4 ESV). Jesus made it clear: In God’s eyes, you are of great value. You are loved, cherished, seen, and adored. 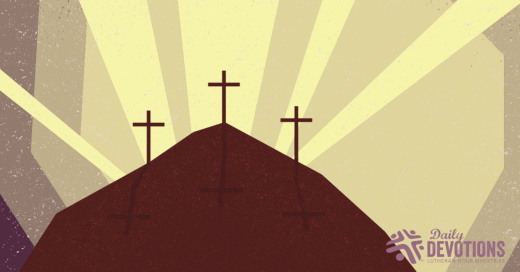 LHM Daily Devotion - September 27, 2017 "Confused by the Cross"
When Jesus died, there were two groups of people who stood at the cross. The first group was a small one. It was the group which believed in Him. They had heard His message of repentance, forgiveness, and grace; they had seen His miracles which restored those who were ill in body and soul. This group had put their hope in Him. But there was also another group at the cross. This group was as far removed from the first as is humanly possible. There were the soldiers who were gambling for Christ's clothing; these were the men of authority who had hated the Savior's message and spurned His call to pardon and peace. 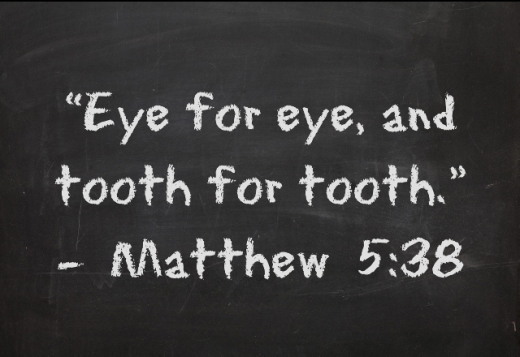 Laughing, rejoicing at what they were seeing, they hurled insults, and saw the cross as an end to Christ's competition for the hearts of the people. If you had told them that Jesus' cross was God's plan of hope, they would not have understood. Today, two groups still stand before Jesus' cross. The first, by the Spirit's power, kneels in repentant humility, and prays, "Lord be merciful to me a sinner." Those souls, having seen their Savior die in their stead, knowing He has paid the price to ransom them from sin and Satan and death, recognizing the cross as the power of God, are forgiven, free, and have an eternal future. But the second group is also there, rejecting the cross, ignoring it, despising, scoffing at it, considering it foolishness. St. Paul was right: "the message (word) of the cross is foolishness to those who are perishing, but to us who are being saved it is the power of God." I've been saying there were two groups before the cross. You should know there were three. The third group was a small one, made up of only two men. They shared nothing other than their physical proximity. One of these men was a Roman centurion, the other a crucified and dying thief. At the end of the day, one would be alive; the other would be dead. One had a future; the other, well, he had none, at least not in this world. One would walk back to his barracks; the dead body of the other would be discarded. One of the men represented power, the other, total helplessness. Still, these two men became joined in this: as they took a good, close look at the dying Savior, they were transformed. In the six hours during which they watched God's Son die, both of these men were changed. These two men knew the Savior's crucifixion on a skull-shaped hill outside of Jerusalem's walls was unique. It was made that way not because of the cross. The cross was made of the same timber as all the others. It was different not because of the cross, but because of who hung on it: Jesus, the Son of God, your Savior. THE PRAYER: Dear Lord, send Your Holy Spirit into this troubled world, so the cross may become for all a symbol of Your love and redemption of sinful humankind. This I ask in Jesus' Name. Amen. El Señor mandará sus ángeles a ti, para que te cuiden en todos tus caminos. Ellos te llevarán en sus brazos, y no tropezarán tus pies con ninguna piedra. Era un domingo de mañana y me dirigía a predicar en una iglesia en Minneapolis. Dos cuadras antes del semáforo la luz se puso verde. Pero cuando llegué a la intersección, y sin saber por qué, frené. En el momento en que mi esposa y yo hubiéramos cruzado esa esquina, un coche pasó a toda velocidad a pesar de tener luz roja. Sin lugar a dudas, con la velocidad que llevaba, si yo no hubiera frenado habríamos resultado gravemente heridos, si es que no muertos. ¿Qué fue lo que nos salvó? ¿Mi habilidad como conductor, o un ángel de la guardia? Yo creo en los ángeles de la guardia. Y, de acuerdo a una encuesta, el 55% de los norteamericanos comparte mi creencia. Así es, el 55% de las personas encuestadas dice que han sido protegidas de algún mal por un ángel guardián. El 55% de nosotros cree que los ángeles de Dios han estado directamente involucrados en mantenernos a salvo de algún tipo de peligro. En el salmo usado para esta devoción se nos afirma que así es, que el Señor ordena a sus ángeles que nos cuiden. Aun así, es bueno saber que tantas personas están de acuerdo con la Biblia y que reconocen la protección angelical de Dios en sus vidas. Le aliento a que le agradezca a Dios por los accidentes que no le han sucedido, las enfermedades que no le han acosado, las tragedias que no le han llegado. Y también le aliento a que dé gracias al Señor por haber enviado a su Hijo a vivir, morir y resucitar para lograr nuestro perdón y nuestro hogar eterno en el cielo. ORACIÓN: Querido Padre celestial, muchas han sido las veces en que me has cuidado sin que yo lo haya sabido. Por tu cuidado constante te agradezco infinitamente. Ayúdame a ser siempre consciente de tu presencia y de tu amor en mi vida. En el nombre de Jesús. Amén.